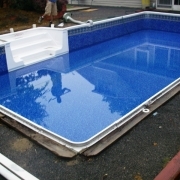 BEFORE - Sylvan pool with 7” aluminum coping. 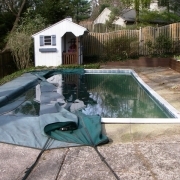 Note the concrete decking leaning and shifting towards the pool causing the walls to fail and start sagging and bowing in. 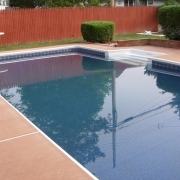 AFTER - Sylvan pool with walls straightened, a new step unit and cement lock/aluminum bull nose coping with exposed aggregate concrete decking and new larger retaining wall. 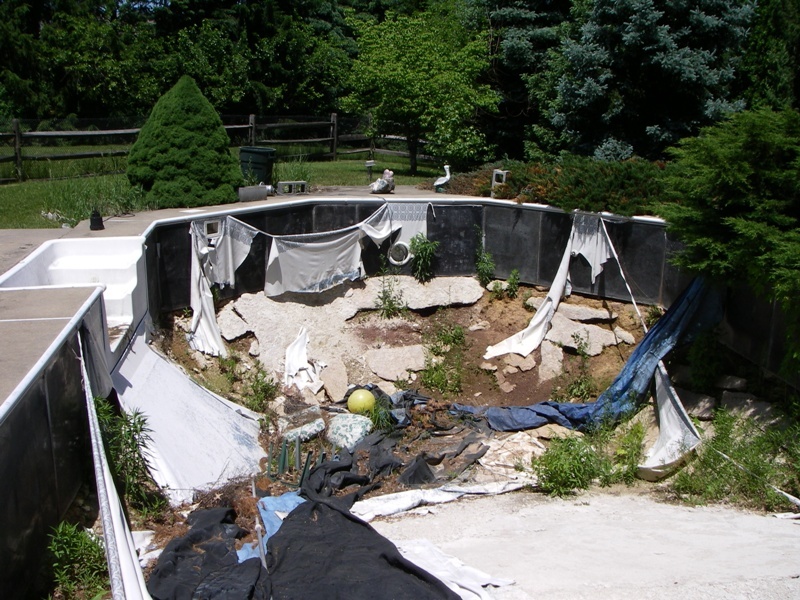 BEFORE - Polymer wall pool after 5 years of exposure to the elements without water. 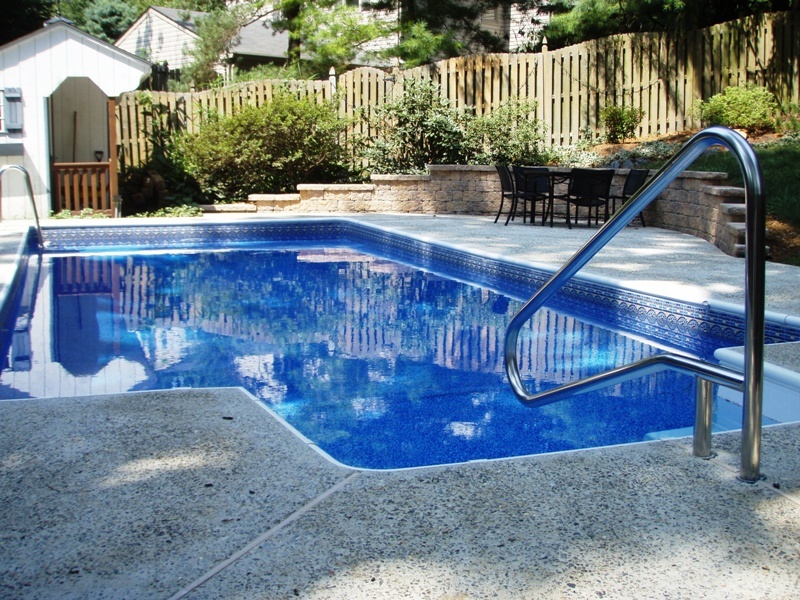 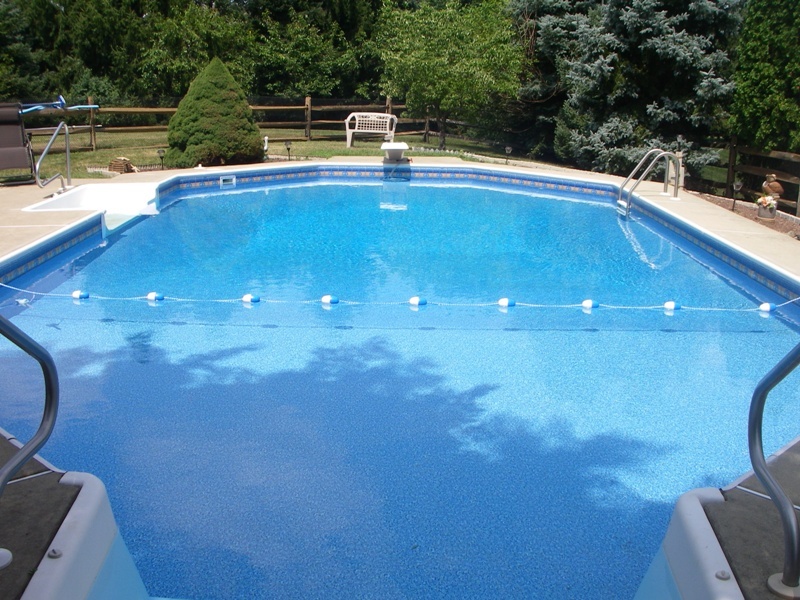 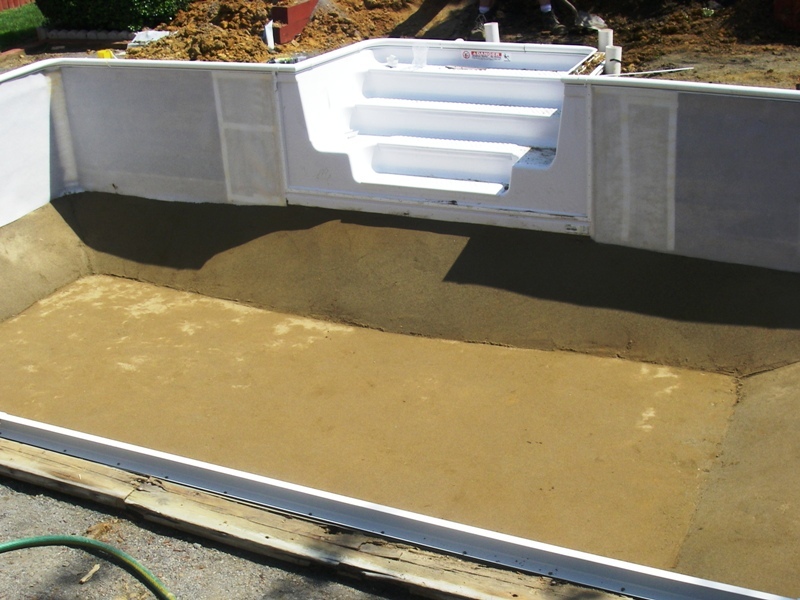 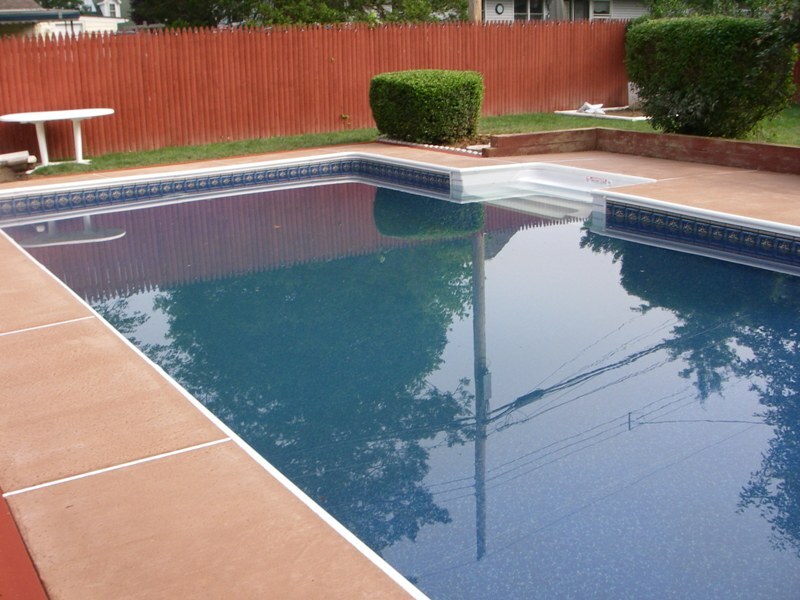 AFTER - Polymer wall pool with a makeover including a new vermiculite bottom, liner and pressure washed deck. 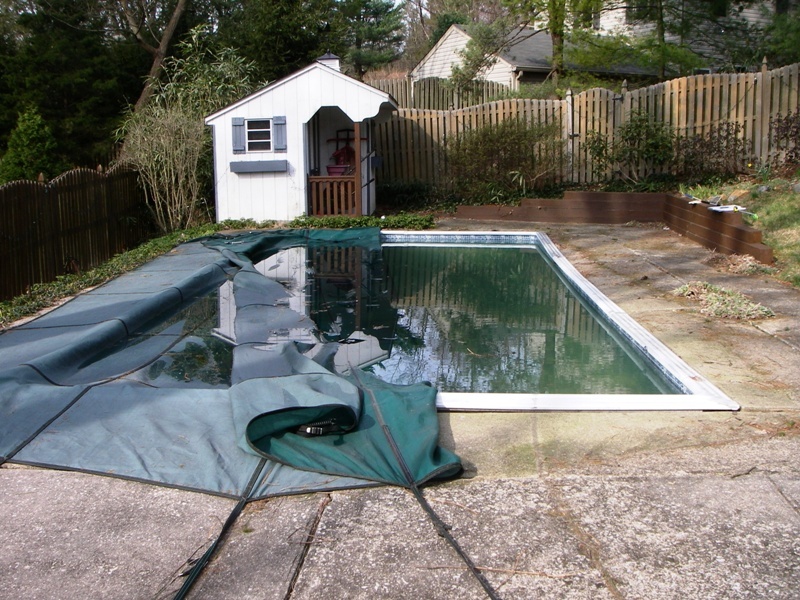 BEFORE - Renovation of a wood wall “Dream pool” in progress. 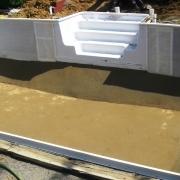 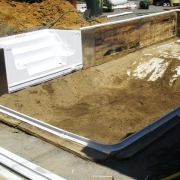 Deep end depth has been raised and steps have been installed. 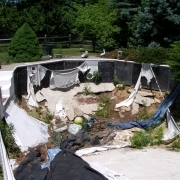 DURING - Renovation of a wood wall “Dream pool” in progress. 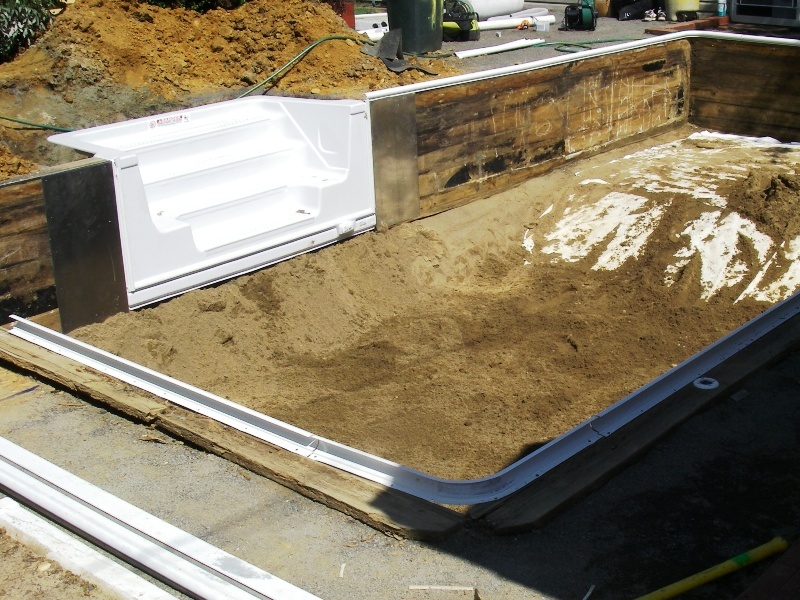 Wall foam has been installed and the sand bottom is finished. 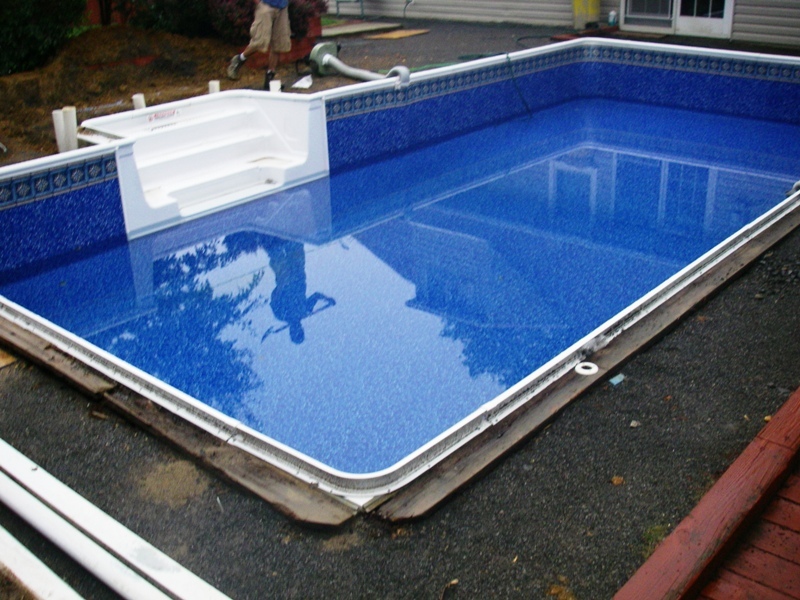 AFTER - Wooden wall pool ("Dream Pool) with raised deep end, bullnose coping, 8'step, and new dyed concrete.